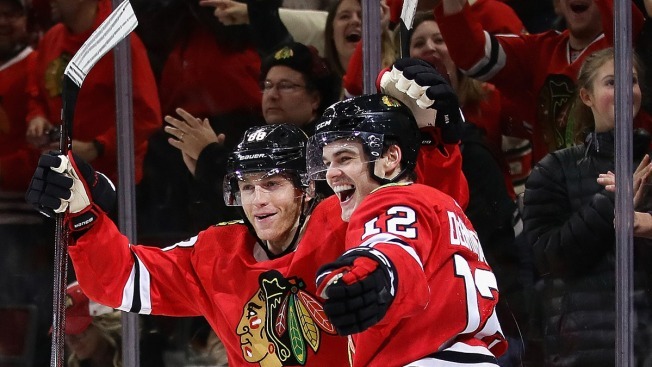 Chicago Blackhawks teammates Patrick Kane and Alex DeBrincat have played a huge part in the team’s attempts to get into the playoffs this season, but what you may not know is that they have joined an exclusive club with their accomplishments. Kane, who leads the Blackhawks with 41 goals this season, has cooled off in the goal-scoring category this month, which has enabled DeBrincat to catch up to him. DeBrincat, in his second year in the NHL, scored his 39th and 40th goals of the season against the San Jose Sharks on Thursday night, putting him and his teammate in elite company. According to the NHL’s Public Relations Department, Kane and DeBrincat are the second pair of American-born teammates in NHL history to score 40 or more goals in a single season, joining Pittsburgh Penguins forwards Kevin Stevens and Joe Mullen, who achieved the feat in the 1991-92 season. Unfortunately for the Blackhawks, they likely won’t achieve the same level of success this season that the Penguins of 1992 did, as that club went on to win the Stanley Cup championship.